Yes, I watch the television show Glee so I guess that makes me a Gleek...and I'm ok with it. 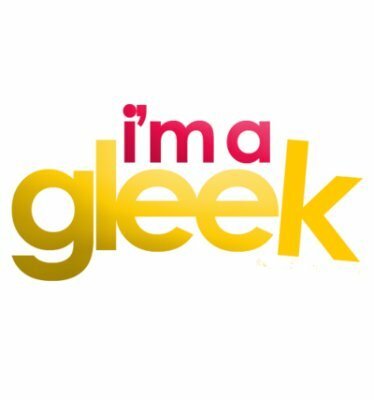 I know a lot of amazing Gleeks out there...family, friends and a large amount of my classmates; don't think I don't hear you singing at your computer. Pretty much everyone is familiar with the show in general but if you aren't, its a show about an unpopular glee club at McKinley High School in Ohio where they sing songs (sometimes just bursting out into songs like High School Musical) and dealing with life while attending high school. I understand that the show has some similarities to previous shows and movies in the past like Fame and High School Musical but this show definitely stands at the forefront of uniqueness. The second season premiered yesterday after a very long anticipation period and I will admit that I was a little hesitant. Many good shows has gone down hill or experienced some slowing down momentum during their second season; case in point, Twin Peaks for all you television buffs. However, I was pleasantly surprised at how enjoyable the premiere episode was and most of the songs will quickly make their way onto my iPod. The top songs hitters of the episode for me has to be Empire State of Mind (Glee cast) and Telephone (Lea and Charice). Billionaire (Chord) and Listen (Charice) were also great songs but I'll discuss that later on. I'm more of an upbeat song kinda of person and the first two really got me into the episode. The most hilarious part was at the end of Telephone when Sue Sylvester comes in and tells the girls to shut up...priceless. We're introduced to three new characters this season and lost some: Coach Beiste, the new female coach after the former Ken Tenaka had a nervous breakdown, Sunshine, the new foreign exchange student from the Philippines, and Sam, the new guy who happens to become the new Football quarterback and not join the club. Both new students really have some talent with their individual songs and thought they would be great additions to New Directions; but they weren't my favorite songs of the episodes to be fair. A lot of touching moments between all them and the Glee cast but what surprised me most is that Charice's character didn't become a part of the Glee club but got recruited to the rival glee club, Vocal Adrenaline. Also missing from the list is behind-the-scenes glee club member, Matt, who has transferred out so if you've paid attention: there's only 11 members and they need 12 to compete. All in all it was a great episode and I can't wait for next weeks Britney Spears episode where Brittany will be taking the reins as the central character for the episode. Let's see if the season can continue to rise after a good start. If you want to learn more about the show, watch past episodes, and purchase many of the Glee songs online then visit their website, http://www.fox.com/glee/. Which Phone Should I Choose?